As I said many times before, there isn't one stripe that I don't like. When I navigate through a store's rack of clothes, I can't help but pull out first the striped garments. 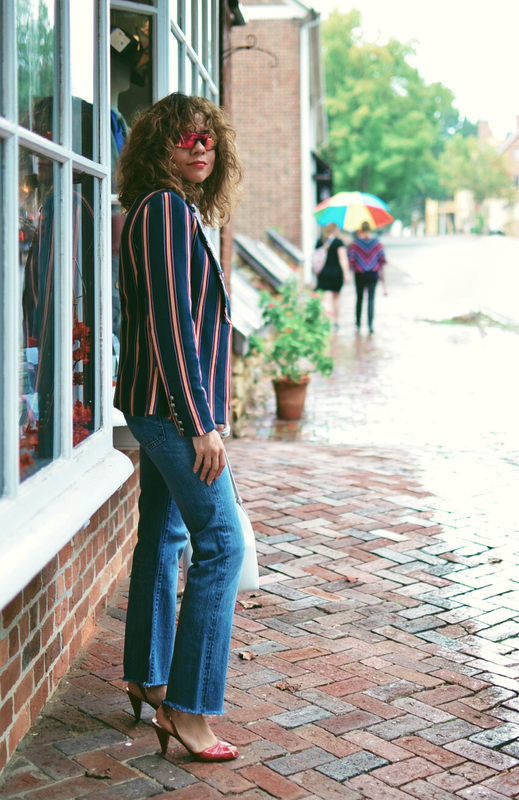 To me, stripes are invigorating and mood lifting for sure, which are much needed right now since we are getting rough weather due to Hurricane Florence. The day of this photoshoot was right before our weather started turning dangerous. 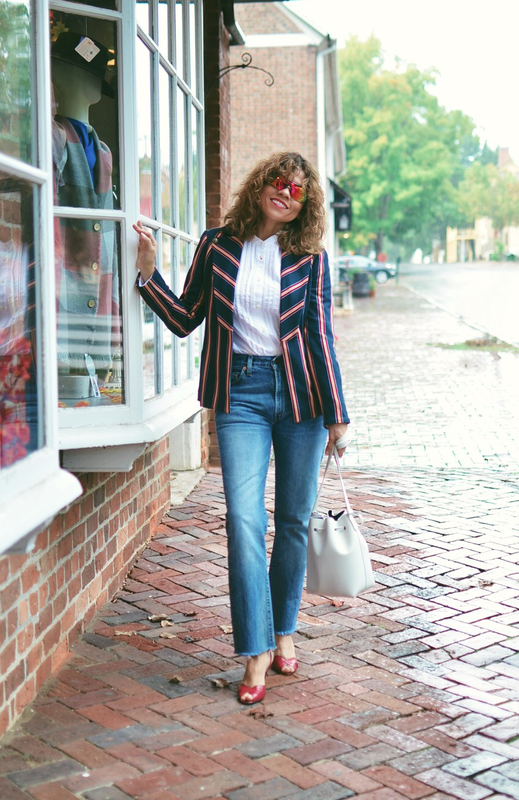 I dressed up with colorful stripes and paired them with sporty fun sunglasses (gift from my mother-in-law) in order to bring a fun vibe to someones's day. You all know I love the rain, so I'm not really sad about having wet weather, however, I do feel bad about the strong winds and flooding doing damage to our cities and even taking some lives. My prayers go out to all the people that had to ride through the worst part of this hurricane. 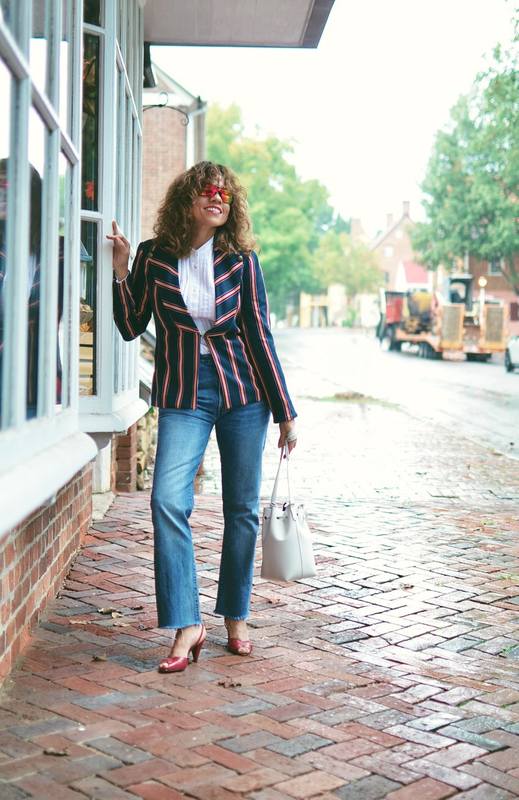 Getting back to my outfit, besides the fun that my blazer and sunglasses gave to my look, I also decided to do a matchy-matchy move by wearing shoes that color-coordinated some of the stripes on my blazer. 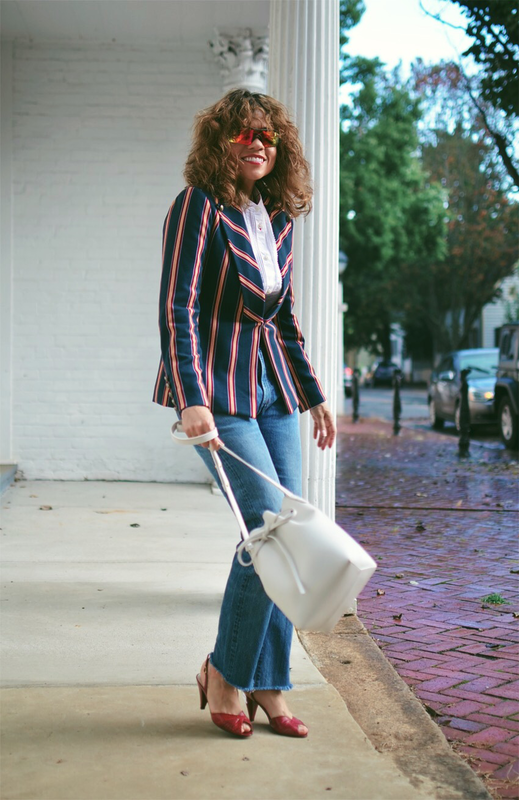 My jeans, pintuck white button-down and bag were the classic touches that brought balance to my bold pieces. 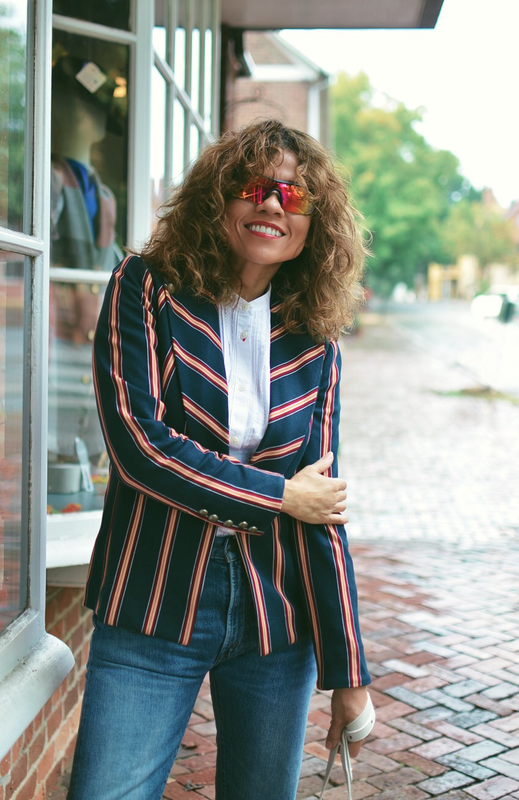 By the way, I chose a pintuck shirt instead of a simple button-down because I wanted some sort of details around my chest that were subtle enough to allow the blazer and my performance sunglasses to be the center of the attention of this look. Blouse: Ines De La Fressange for Uniqlo/Blazer: c/o Chico's/Jeans: Levi's (vintage)/Bag: Mansur Gavriel/Sunglasses:/Shoes: Bruno Magli (vintage).